Professional Wireless Communications is the premier provider in digital radio technologies. 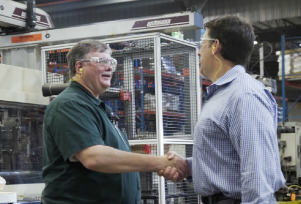 We can help you implement a wireless solution to improve safety, increase productivity, and enhance connectivity within your business. Our solutions are tailored specifically to your needs to provide the right support for your business. PWC has the communications industry experts with personalized service you can count on. Give us a call and speak with a real person. 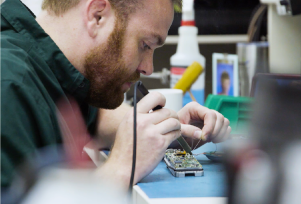 Unlike other two-way providers, we pride ourselves with our in-house repair facility. We perform 98% of radio equipment repairs at our location or on-site at yours. If you have an emergency, we also offer a 24-hour emergency repair service to address your needs when response time is critical. Looking for two-way radios but only need them for a temporary job or short periods of time? 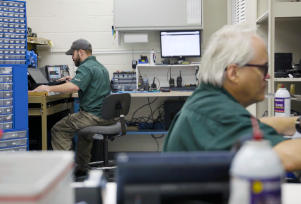 Professional Wireless Communications offers radio rental equipment with the features and products you need to stay connected no matter how large the coverage area. We carry portables, earpieces and headsets for nearly any application, and our expert staff will recommend the best solutions for your needs. Give us a call or contact us today to learn more about our radio rental services.